Haters gonna say Overwatch is already dead. Some say that Overwatch is dying. Your girlfriend/boyfriend/mom/(insert joke here) played Overwatch with me last night so I don’t see what the problem is. No matter how you define a dying or dead video game there has been a lot of words flying around about Overwatch the past few weeks that have kept at least a couple grave diggers busy. So what is actually going on with Overwatch that leave us feeling like there is nothing going on? Is Overwatch dying or is it already dead? It’s time someone answers these questions about Overwatch properly. NOTE: I make reference to “gaming personalities” in this article as a general feeling that I see from a lot of them. I will not make reference to any one person to discredit any one person. What defines a dead and dying video game. What is happening in the Overwatch community itself and gaming. What factors play in from Blizzard and Overwatch League. How to fix some of the problems in Overwatch. Let’s clear up a dead video game is different from a dying video game. Although memes tell us that once a game reaches dying state you say the game is dead (or ded or dapdfgnapnged). I can make references to Urban Dictionary or somewhere on the internet that may or may not be smarter than me but I had to go directly to gamers to find out what makes a dead game. So the gamer’s definition of a dead game is what I would use for a dying video game. The time players start to play other popular video games is when the “X” game is dead memes come out. To the testament of Overwatch there were rumblings of death after a year but it really didn’t start until about two years after it was out to get the “dead” meme status. I would say after two years Overwatch ran its actual expected life cycle. At about two and a half years Overwatch had a small resurgence of players that didn’t want to play Fortnite and Overwatch League started up. Needless to say it wasn’t a big enough draw to raise it from dying status. A dead video game is an entirely different thing even though it’s the term we use to describe a dying video game. Dead Video Game (Phrase): A video game that is not supported by the developers (servers may still be open for people to play) but only die hards play it. Phrase used in memes to describe a “Dying Video Game”. Overwatch is far from a “Dead Video Game”, Blizzard still supports it almost daily working to bring patches and new content for refresh as well as changing characters abilities to make the game “feel different”. Popular Twitch streamers and YouTubers still create content for Overwatch. So the memes are right Overwatch is a “ded game” but, dead game memes only stop casuals from playing the game removing a lot of the “active” player base. It hurts to see people call a game you like dead because it may be your jam but you feel like you have to stop playing it because “the masses” told you differently. Be a real gamer and play what you want not what other people tell you to. The Overwatch Community, once a strong amazing community of content creators, players, developers and just good people is a now changed place 3 years later… I got into video game content creation for Overwatch specifically because I started interacting with some people in the Overwatch community just before the game launched. A month after the game launched I was hooked and I started my podcast and social media network “Overwatch Today”. I experienced mild success with my Instagram page gathering 146,000 followers, which was a lot of fun. I can tell you for me the game started dying in September 2017 this was when I lost my Instagram account. I could see the Overwatch community changing, it was like a lot of people started coming in that really hated Overwatch and they didn’t even play the game they just didn’t like the game and my page got deleted because of some of these people. But more importantly it caused a bunch of toxicity outside of the game that I had not seen before. Then Player Unknown Battleground was released and immediately after Fortnite dropped it’s free to play Battle Royale mode. Fortnite legit caused the gaming world to turn upside down and a lot of Overwatch content creators just decided to flow with it in order to grow their numbers instead of claim loyalty to any game that (some of them Overwatch made them popular). Now what I have seen happen in the gaming community at least, when content creators don’t want to create content for a specific game anymore they completely trash the game. I get it everyone is entitled to their own opinion and some people have to “look cool” to their “followers” but why you got to verbally assault a video game just because you are bored playing it. I mean this will cause people to not play a game faster than a popular content creator praising a new game. So this has been the state of Overwatch, content creators bashing the game on the regular, even ones that are solely Overwatch content. This again causes people that maybe weren’t even questioning the game that they are now. We get it your bored playing the game, gtfoh with that mess. Content creators have been complaining about the Competitive mode since day one is tiresome. Yes we get it the events are recycled and boring but maybe the events weren’t meant to be what people think they should be. All the game modes and maps and events have been planned out since before the game launched. It takes time to develop new game modes, so it may be another year to 2 years before we see new events or event game modes. Overwatch has survived the great Fortnite migration and the onslaught of Battle Royale games. Apex Legends could be the Overwatch Battle Royale that everyone is looking for and some people have said that it is. So time will tell if the gaming universe continues to support Overwatch. Currently in (Overwatch) game is the same to me as it was year one, the competitive mode is working but broken (because no one wants to win one loose one), people rage in comp, people pick crazy heroes in quick play and the Arcade is a mess that probably won’t be fixed. Personally what I see, there is no difference between now and when the game released. People are now starting to see what I have always seen because their friends aren’t playing with them anymore or as I said the “new car smell” has worn off and they are just bored with it. Also Blizzcon was a let down for a lot of people. I won’t go into detail but it didn’t have the same feeling other Blizzcons have had. What you talkin’ ‘bout Blizzard?!? I believe that a big part of the community upheaval in the recent months is because of the lack (or the perceived lack of) contact from Blizzard to the community directly. That’s it that’s my whole point of this section. Big Papa Jeff Kaplan and crew have been acting like they don’t even care what the community has to say right now. Jeff’s developer updates have been less and less since the launch of Overwatch League and regular players are feeling like the developer’s first priority is pleasing the Overwatch League players. Now I have been saying it since before Overwatch League started… “The developer’s nerf / buff heroes based on what the “pro players” want.” Legit I have been saying it you can listen to some of my old podcasts where I say it. You can see the changes that they make like oh let’s change Mercy like 100 times and then just change everything because “people” are complaining. Well Mercy players weren’t complaining I can tell you for a fact… But I will give the devs credit some things (although took a long time to fix) like Roadhogs hook and Beyblade Meta were fixed with a lot of community feedback. 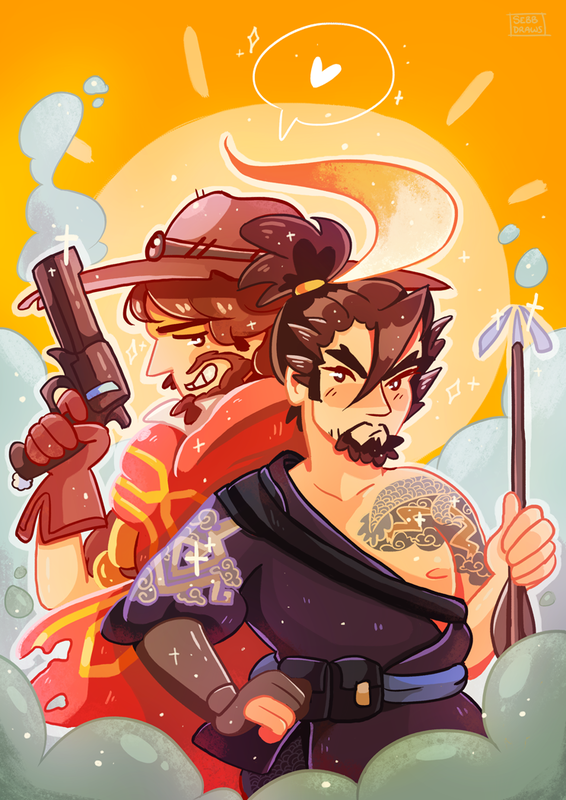 They still haven’t removed Hanzo from the game, so I’m still mad about that. So now we are about to enter season 2 of Overwatch League and it seems like the developers time is wrapped up in creating content for that rather than the game. What should have happened, was a whole second team (probably larger than the regular team) should have been added to work on the Overwatch League so the regular team could have been working on creating content to push the actual game forward, instead that didn’t happen… (Or at least that’s the perception that we get). Overwatch League is a mild success and I hope it continues to grow and I hope they can figure out how to connect the League to the actual game because right now the two are very separate things. “Hey Overwatch is cool let’s start making things to go with our game”, (some marketing executive said after the game was launched). So, now we have statues, Nendroid, Figma, Funko Pop, Hasbro figures (soon), Nerf guns, journals, clothes, a cereal and other irl stuff based on Overwatch. These are all great amazing things that make the game tangible in real life. How do you connect these things to the game, should have been the question they were asking not the other way around. Recently (Feb. 12, 2019) we learned why Blizzard has been quite about Overwatch. 8% of all the employees were terminated. So although the directive was to continue to move forward with all projects it may have been a “move forward but do it on the dl”. Unfortunately we know that a lot of marketing was the subject of termination and that would hint that there are no “new” Blizzard happenings for the next couple years. But what does this mean for Overwatch, I guess time will have to tell us this one. Hey Blizzard here’s how you fix your game in two words. There you go my work here is done. Well, ok, fine, I’ll explain. In the beginning, well before the beginning, of Overwatch Jeff Kaplan the appointed Lead Developer of Overwatch made a “developer update” video from his office letting everyone know what was going on with the Overwatch Beta testing. That was so well received he did another one staged and scripted and the community felt at peace every time he would give us an update. Somewhere before or after Overwatch League started we got a update that he talked about toxicity in the game and how they were trying to fix it. Around or after this video the updates didn’t seem genuine anymore and then they got less and less. A message directly to Jeff. Jeff we know you are a busy guy but we need you to not only lead your team but also lead the community. You are our beacon, our Gibraltar, our game dad and we need you to want to be that without you the community goes bonkers. And that’s where we are at people are shouting at Blizzard to “fix Overwatch”. In reality people just need someone to hold their hand out and tell them it’s going to be ok. This is why games come out with “new” versions of itself every year or every other year, one reason is money the other reason is to keep players playing their game. That brings up a point of Overwatch 2.0. New maps, heroes and repeating seasonal events are cool and all but it gets stale after a while. If you don’t introduce something “new” into the mix you get people leaving your game for some other “free to play” game just to play something different. So is Overwatch 2.0 a thing we will see, probably not like we think it will be… My point for bringing up Overwatch 2.0 or any variation of Overwatch comes back to “community involvement” again, Blizzard, just tell us what is going on in your “hidden agenda” give us something to look forward to. Oh also (side note) everyone said they wanted a solo story mission (please no). If you are going to make story missions then just make it like World of Warcraft or Destiny (like the archives event games) where we can play through a story but socially with other people. Toxic people in Overwatch… I haven’t really touched on this a whole lot because I don’t want to give it a lot of power. People are complaining a lot about different levels of toxic people in game. And I am sorry for it but again for me it’s not any different than Season 1 of comp for me. I understand feelings get hurt and people get really mad, but remember it’s just a video game, if you’re not having fun take a break it will still be there when you come back. Really I have talked to a lot of people about this issue and I am sorry if you have been flamed directly it is hurtful and uncalled for. The thing that stops hateful teammates is to talk about it not to cause more hate and flame those people, just let everyone else know what’s up and it needs to stop. Do away with the PTR. No one wants to use it. There is no incentive to use it. No one understands why it exists (to test new stuff). Blizzard releases hero 30, story full build up and release and then only to sit on the PTR for weeks thus killing all the hype that went into the release. Every new release that gets put on the PTR just kills players excitement about the game just a little bit more. The story of Overwatch characters is what drew me into the game the “heroes” each have personality and some of them had like full on stories. This is what I love about the game at the same time am the most confused about the game. When the game started we had this promise of this huge overarching story of the heroes and the world and Overwatch but (sadface) the stories we have gotten are so few and far between that it doesn’t fill the promise that was made. There are small in game voice lines added here and there and map changes occasionally with little story we get but that doesn’t really touch the same cord as actual new story (lore) that I want to see. Again at the games first launch we got some new bit of lore like once or every other month. Now the lore is like sit and wait they will release it when they feel like it. This is not really a community involvement point I just really only care about the story developments XD. There are lots of ways to fix Overwatch and I am sure there are a lot more but Blizzard is tied down by resources and cash flow so we have to manage our expectations and sit back and hope they do something really re-groundbreaking to get back lost interest. I wish there was more I could say or do or my voice mattered more. As it stands Overwatch is dying and we will see people that are interested in the game only when Blizzard releases new content and who knows when that will be. Overwatch League will not spark any new interest in the actual game as they have banked on. Overwatch League is a bigger mess but that’s my own opinion and I’ll leave that for another time (or just listen to any of my podcasts where I talk about it). Hopefully I answered some questions or maybe just pointed out obvious things that are wrong and missed the big picture. Any which way you slice it Overwatch is dying and I’m not calling time of death yet. To celebrate the release of D.Va’s new Animated Short “Shooting Star” and the new Busan map, we invite you to participate in D.Va’s Nano Cola Challengestarting now until September 10th! Win 3 games, and earn 2 new D.Va sprays! Three additional victories (for a total of 6) to earn a new D.Va player icon! Finally, 3 more wins (a total of 9) and you will take home the Nano Cola D.Va skin! To top it all off, we are partnering with a variety of content creators on Twitch! These streamers will be featured on our social media channels and the Blizzard Battle.net App, and tuning in will earn you some exclusive D.Va emoji sprays! Watching another 2 hours (for a grand total of 8) will earn you 3 more new sprays, 8 in all! Images Copyright Blizzard Entertainment Inc. Check out gamewatchtoday on twitter and instagram for all things Overwatch. I went through and screen captured frame by frame to break down the D.Va short “Shooting Star” so you wouldn’t have too. Give it a read through if you choose. Let me know in the comments below what your favorite moment was or if I missed something. Opening Scene, We see Nano Cola D.Va on a building. Possible MEKA HQ. We see D.Va on another building. I believe the pink round holo is a pachimari? In the distance we see the MEKA outpost, giving an idea of how far they are from land. According to Michael Chu, Dae-Hyun is a mechanic, specifically assigned to D.​Va. D.Va’s MEKA squadron takes on the giant sea omnic Ghost. No, none of the MEKA’s have tentacles. -Also notice D.Mon has horns on her headset like D.Va has bunny ears. Michael Chu confirmed that D.Mon was on the same esports team as D.Va before joining MEKA Corp.
We see D.Mon helping Overlord out of his wrecked Meka. From Michael Chu: Their commanding officer is Captain Myung (you can hear her voice over the comms on the MEKA Base point of the Busan map). Lucio Track Playing in background. See the Top of the MEKA where the power core is open. Flashback, Original scene from first animatic redone with updated features. What was it she saw? BUSAN city skyline at night. Look to the left of center on the riverfront, a blue and red lights… THAT’S LUCIOBALL STADIUM! Enters MEKA same as in game with the ejector handles. The heads up display and the command computer behind it. Time to show my skills. However this shows a more heroic D.Va standing up to save her city and the people in it. Launching pad is like a solid light projection, could be VISKAR tech? Finger impressions gonna leave smudges on that glass. Helicopters still exist in the future? She got that tank top on. Hey when’s the next D.Va short? Hope you enjoyed my D.Va animated short breakdown. Leave a comment if you want to see more, what you fav screenshot is or if I missed a detail. Thanks for checking out my site follow gamewatchtoday on twitter and instagram for daily Overwatch updates!